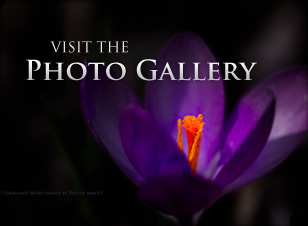 When most most people enter into photography they tend to be more focused on the obvious; cameras and lenses. That’s as far as many go, but if you become more invested in photography there are a few essentials that become necessary. A good tripod is one of them. I’ve got several of them, but what I’ve not had was a dedicated travel tripod. I’ve got a few sturdy models that I like; general purposes tripods that can handle my heavy gear and work well in the studio or the field. But such tripods are rarely good companions when traveling. To big, too heavy, and too cumbersome. I started backpacking with my Vanguard ABEO Pro 283AT (no longer available) a couple of months ago and actually ended up finding a hiding spot for it and grabbed it on the way out. I really like the tripod in a lot of settings, but strapped to a backpack was not one of them. It weighs nearly 8 pounds, but, more importantly, the weight is not distributed well for that kind of setting, and the pistol-grip ball head is just too heavy and bulky. 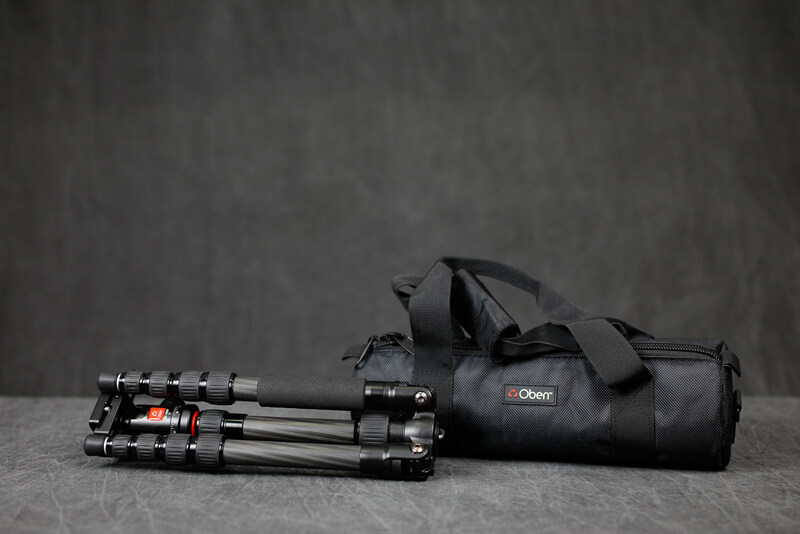 I went on the hunt for something specific for travel for a trip to the American Southwest (the state of Arizona), and my hunt led me to test the Oben carbon fiber CT-3535 travel tripod + BE-208T ball head. I spent several weeks carrying it for air travel, backpacking, some video work, and for a variety of landscape work…and here’s what I found. The CT-3535 and BE-208T combination is remarkably light. The 2.5 lbs (1.1kg) total combination weight is less than a good number of lenses that I review, and strapped onto the side of a backpack (or underneath my LowePro Versapack 200 AW trail backpack), the weight is scarcely noticeably. The fact that it can fold down into a package only a foot (30.5cm) long means that when strapped underneath my trail backpack it is no wider than that backpack itself and thus doesn’t hang on anything. Also very important for actual backpacking is the fact that when folded down for transport the weight is actually distributed quite evenly and so balances well. It folds down in such a way where there are no protuberances that might catch and hang on things. 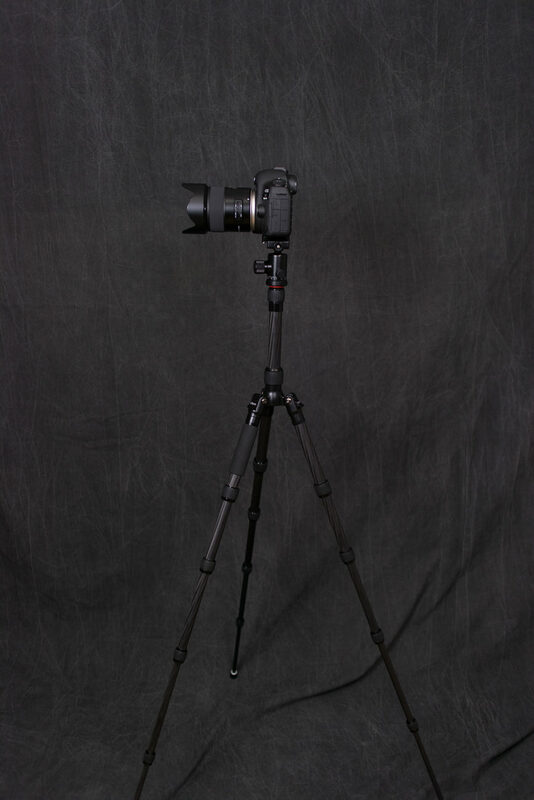 The standing height isn’t quite up to the level of my full size tripods (it reaches a max height of 51.6” [130cm] or 41.4” [100cm] without extending the center column), but that tends to be tall enough for most purposes. 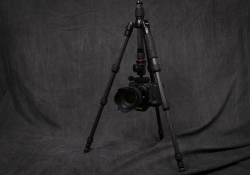 Perhaps more important is that it retains a lot of the versatility of larger tripods, including the ability to spread the legs very wide if you want a lower height (it goes down to a minimum height of 8.6” [21.8cm], which is one area where it is actually a little more versatile than a full size tripod). 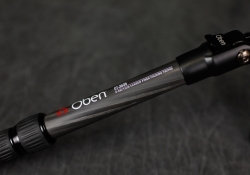 You have three different locking angles available, including 22.5-24, 50, or 80 degrees. You can also reverse the center column and suspend the camera upside down if you want to get down very low. 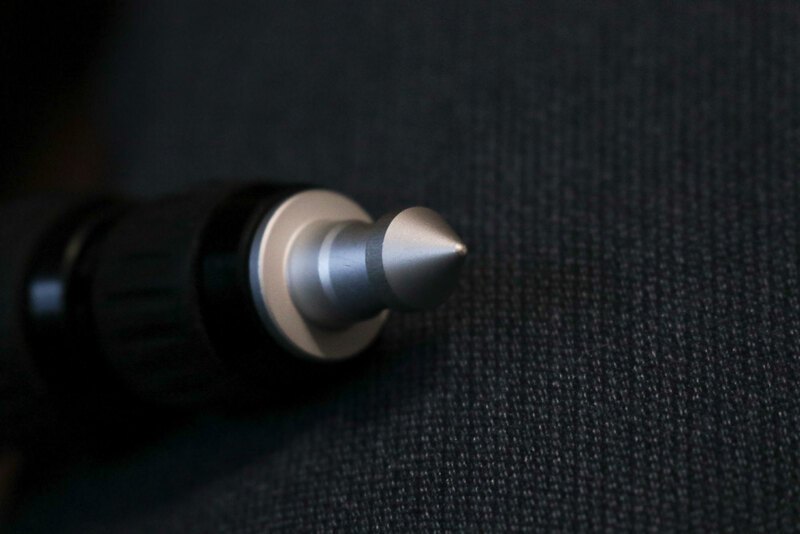 Another nice bonus is the ability to detach on of the legs, thread it into the center column, and have a lightweight monopod that can reach a maximum height of 53”. What you cannot do is extend the center column at some kind of vertical angle. Currently B&H Photo is including the Oben “tripod hammock” as a gift with purchase, which is probably a good thing, as the extreme light weight of the tripod does make it more susceptible to wind. The hammock attaches to the legs of the tripod and provides a platform where you can add weight for additional stability. If you twist off the rubber feet you can find integrated spiked feet that do help when you have a softer surface to “stab” into. There is also a spring-loaded weight hook on the bottom of the center column where you can hang a sandbag or some other type of weight, too. I found attaching my gear bag or backpack to that hook helps provide extra stability. 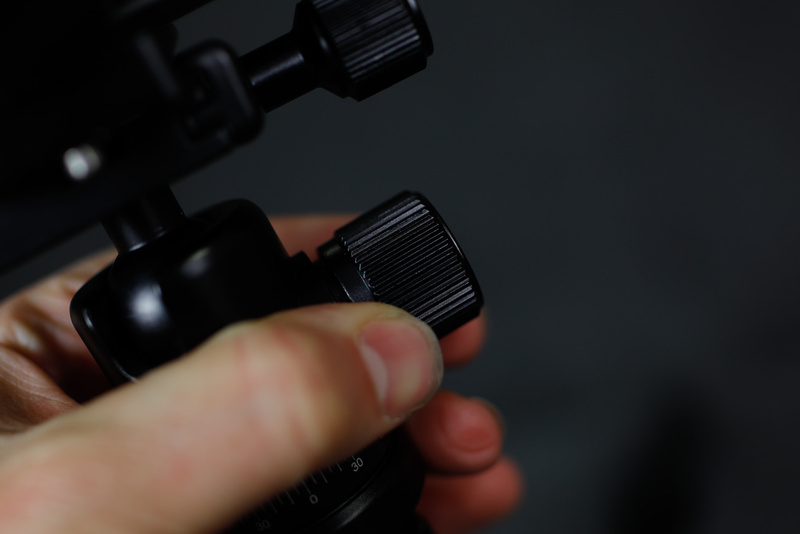 The twist locks on the tripod have grown on me, but they do take some adjustment. I’m not crazy about the fact that you can continue to twist them in the wrong direction until that section actually detaches and an internal sleeve can actually fall out (yes, I learned this the hard way!). 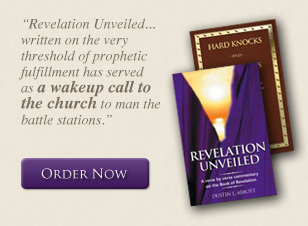 I would have preferred that they have limited “travel” in the wrong direction. On the plus side the locks are fairly easy to loosen and tighten once you get the hang of them and I find that I can extend the legs fairly quickly by quickly grasping all of the locks at the same time and twisting. Practice helps you develop the right amount of pressure to loosen the twist locks just the right amount. 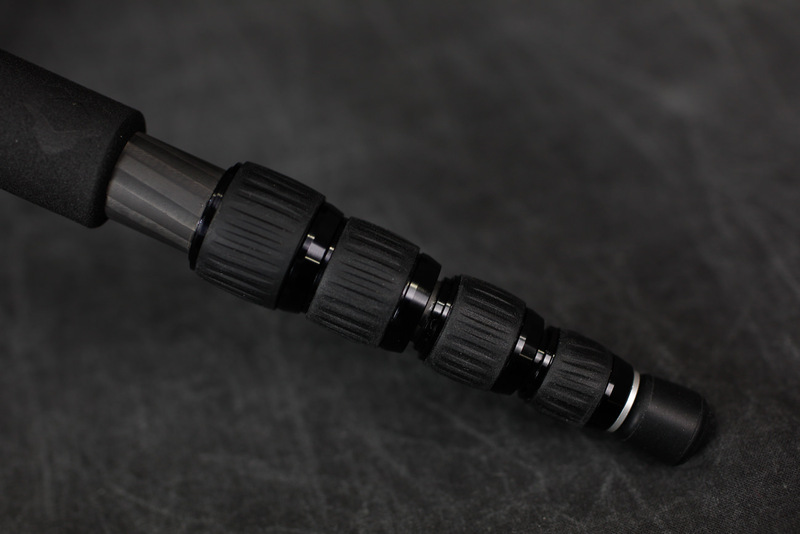 Once loosened it is easy to extend the legs, and the extreme light weight means that just about anyone can actually hold the tripod in one hand while using the other to loosen/tighten the locks and extending or retracting the legs. 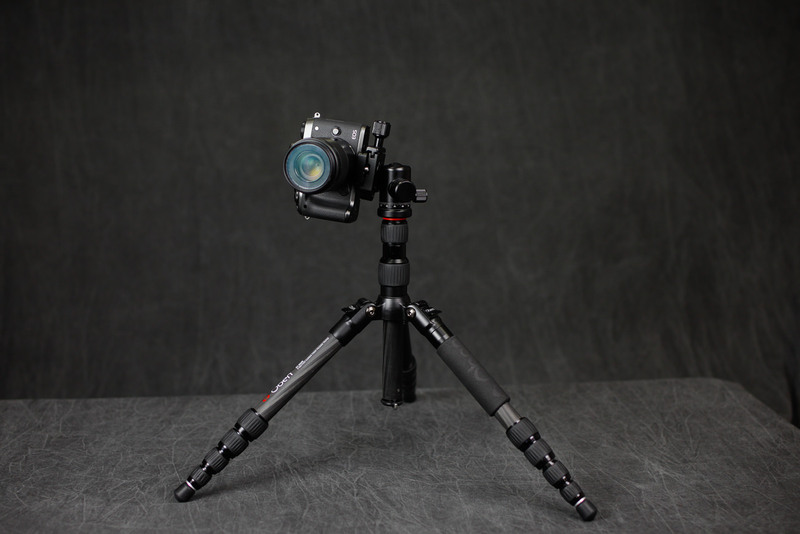 If you are accustomed to a normal size tripod, however, you might find that you can’t just let gravity do the work of extending the legs. They are just too light. The operation of the tripod has really grown on me as I’ve become more familiar with it. It works very well, and is so incredibly light! The integrated ball head (BE-208T) does the trick. 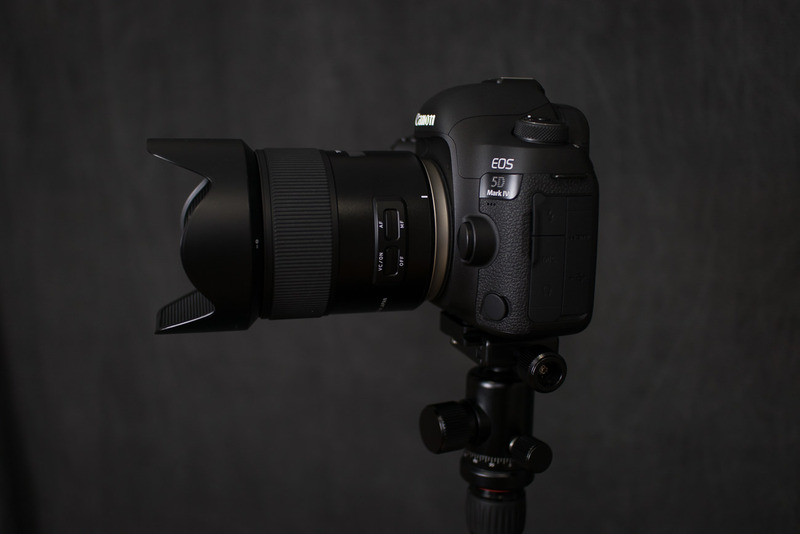 It has a load capacity of 9 pounds (4.1kg), and when you consider that my Canon 5D Mark IV weighs 1.76 lb (800g) and a lens like the Canon EF 100-400mm f/4.5-5.6L IS II weighs 3.5 lb (1.59kg) only equals about 5 ¼ pounds (2.4 kg) you realize that it can actually support a surprising amount of weight. I performed what I consider a bit of a torture test to test stability and strength of the ball head along with the gripping ability of the QR plate. My wide angle lens of choice is the Tamron SP 15-30mm f/2.8 VC. It’s a heavy lens all by itself (2.43lb/1100g), but when I shoot landscapes I often use the Fotodiox WonderPana filter system for it. The WonderPana system is really well made from an aluminum alloy, but it isn’t light. Sometimes I add both a 145mm ND 1000 filter + a large ND Grad square filter. The latter is like a small pane of glass. The end result is quite a lot of weight fairly far out from the camera mount point, and I’ve had some issues in the past with the QR plate of my Vanguard tripod starting to slip (the camera starts rotating down) when I’m using this combination in a vertical position. This can ruin a long exposure shot for very obvious reasons. I added all of this bulk plus a 5D Mark IV to the CT-3535 (and the BE-208T) and was delighted to find that after I firmly tightened down the tension knob on the ball head that everything stayed exactly where I left it. 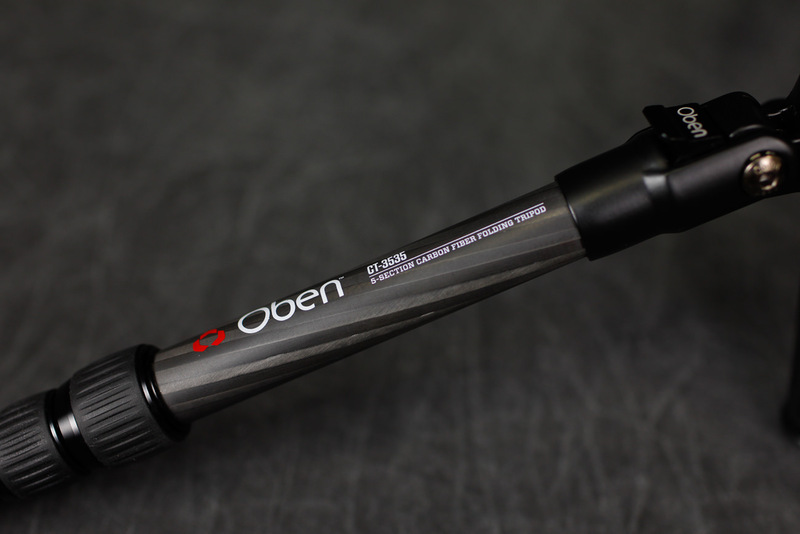 I was very impressed, particularly when I consider the light, compact nature of all of the Oben components. It has a quick release plate, though it involves a locking mechanism with a tension knob rather than a Manfrotto-type lever action release (my preferred release action). The small QR plate is Arca-type compatible. It feels a little more flimsy than do full size tripod QR plates. I do like the fact that the tightening bolt has a flip-out ring to allow you to hand tighten it rather than requiring tools, though I find the rather thin thickness of the ring on the metal makes it feel almost like it is cutting into my skin a bit when exerting a lot of pressure on it. That’s not actually happening, but the pressure is slightly uncomfortable when really bearing down on it. The ball head has dual action, with one knob controlling tension on the actual ball head and the smaller second knob allowing to rotate the panoramic base. I find the latter helps with storage; you can adjust the head so that the legs can fold in as close as possible. There is a bubble level integrated into the head, though due to the compact nature of the ball head this pretty much disappears once a camera is mounted on there – which definitely limits its value. 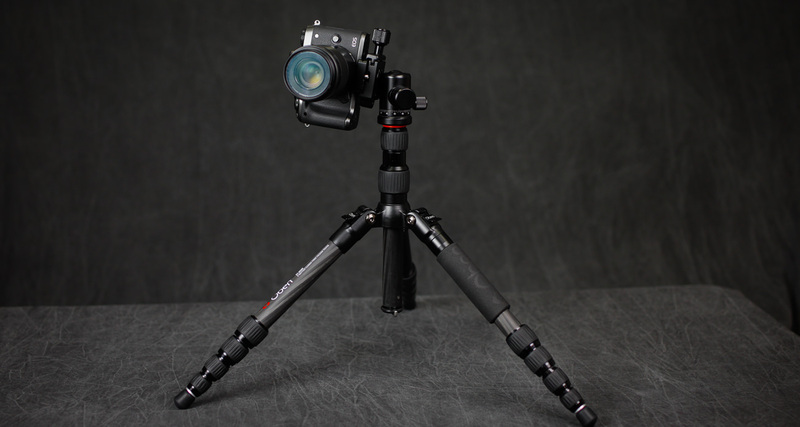 Consider it more a tool for getting the tripod level initially. The CT-3535 does come with a nice, sturdy carry bag with both handles and a optional strap. The bag itself is made of highly durable material, though I personally would use it more for storage rather than transport as I’m more likely to attach the tripod to whatever bag I’m using for either travel or backpacking. My only complaint about the bag is that it seems like a bit of a tight squeeze when fitting the tripod in and out. You definitely need to make sure the tripod is in as compact a package as possible. 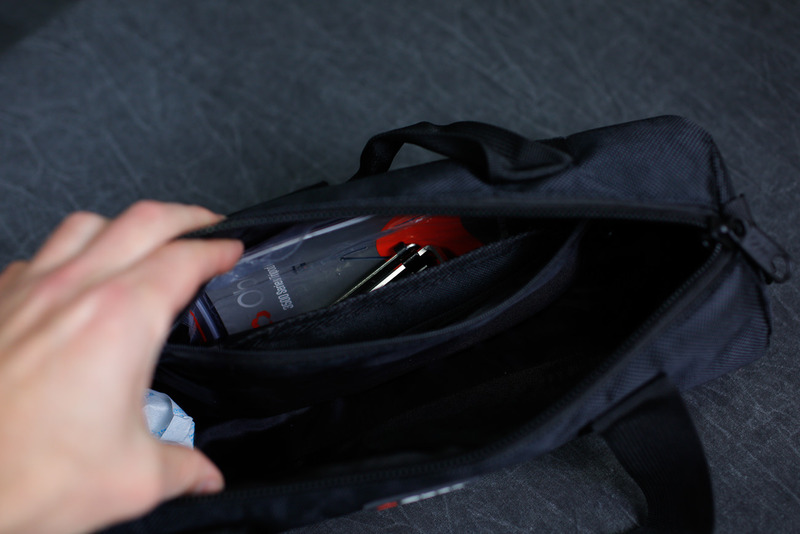 I do like the fact that there is an additional pouch inside the bag for storing tools or accessories, and the carry bag itself seems to be made of rain-proof materials. 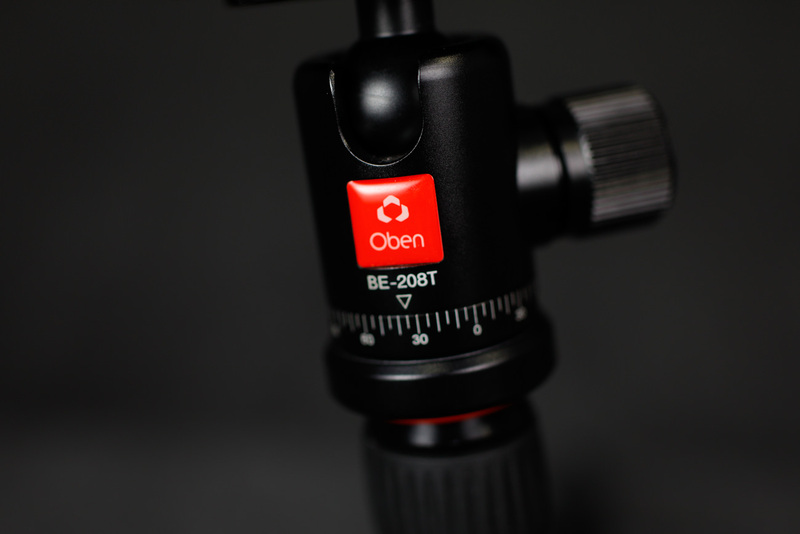 The Oben CT-3535 + BE-208T does a fairly credibly job of providing a full size tripod experience in a very compact, very light package. It was actually pretty great to use on the trail and when travelling, and perfectly suited the bill for what I needed on my trip. I’ve found it useful back at home, too, for keeping a tripod handy. It can store pretty much everywhere, so I have it within arm’s reach when at my desk for those moments I quickly need a tripod for some test. 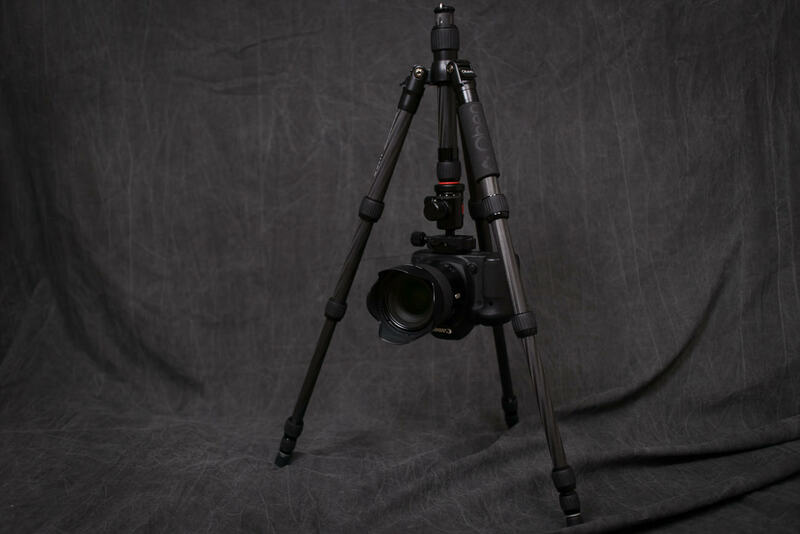 You do need to make some slight adjustments to the way you use it as compared to a “full size” tripod, and you probably won’t be able to get the camera to a standing “eye level” if that is your goal. 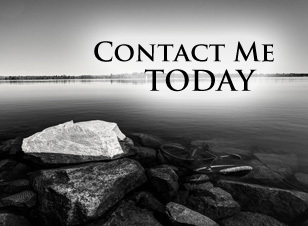 If you are in a windy environment you will need to make some provision due to the light weight. Add weight via the hammock or from the hook underneath the center column, and if you are on an appropriate surface you might want to pop off the rubber feet and expose the spikes beneath to help anchor the tripod. I appreciate the amount of versatility built into the design, which is impressive considering the compact size and extreme light weight. The ability to quickly convert to a monopod is a nice touch. Above all it is the ability to pack the CT-3535 into such a small package (only a foot long) that makes it so special. 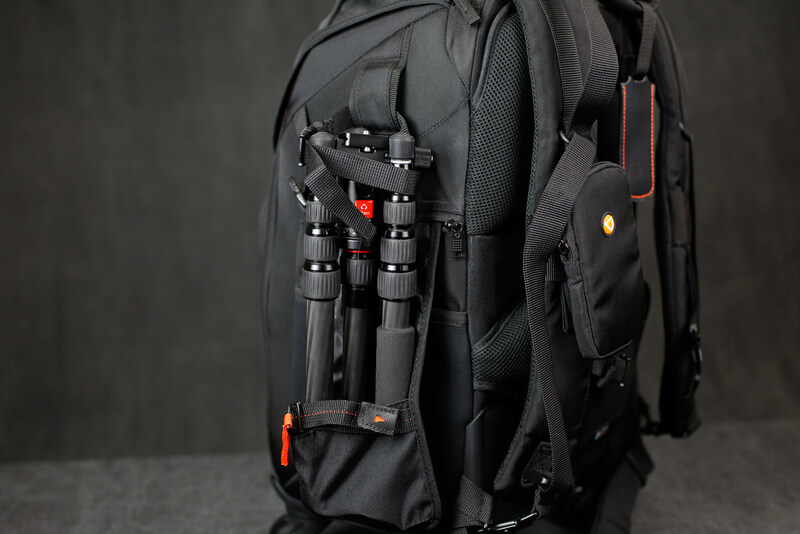 The fact that it can easily be attached to a backpack should mean that you could get this tripod into places where a full size tripod would be frowned on. The tripod traveled well on the airline, and I was very happy to have it with me on this trip. The current price of the tripod is $299 but frequently goes on significant sales at B&H Photo. 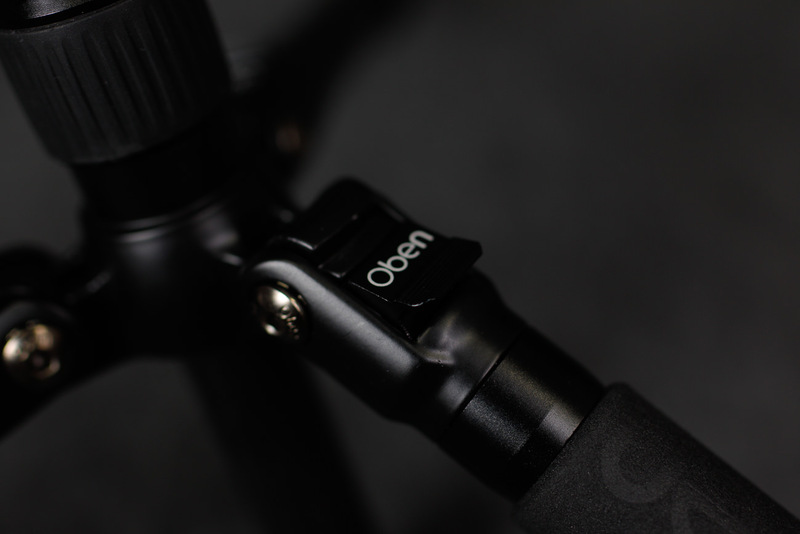 If you need an extremely light, versatile tripod and price out the competition, you’ll probably come to the same conclusion I did: the Oben CT-3535 + BE-208T offers excellent value and might just become one of your favorite tools.